Nerdy T-Shirts are something I take kind of seriously. I don’t consider myself a fashion expert by any means. 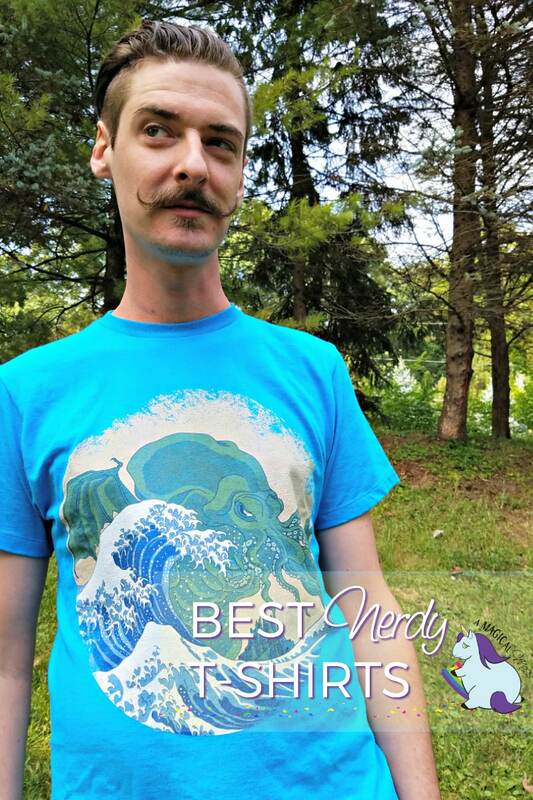 However, with the plethora of designs that allow us to showcase and celebrate nerdom, each shirt is an opportunity to connect with fellow nerds or start a conversation about a beloved topic. Design By Humans is my favorite go-to for the best nerdy t-shirts. It doesn’t stop at t-shirts either. If you fall in love with a design, you can get it on a tank top, hoodie, pull over, phone case, stickers, or even an art print for your wall. Their products are great quality and the clothes are super soft. Now they’re even offering notebooks and mugs! OMG… my mug collection is going to be incredible. No matter the version of nerd you may consider yourself, you’re sure to fall into the glorious hole of shopping on this site. I can spend hours perusing all the amazing designs. These artists are insanely talented and I love being able to support them and wear their work. 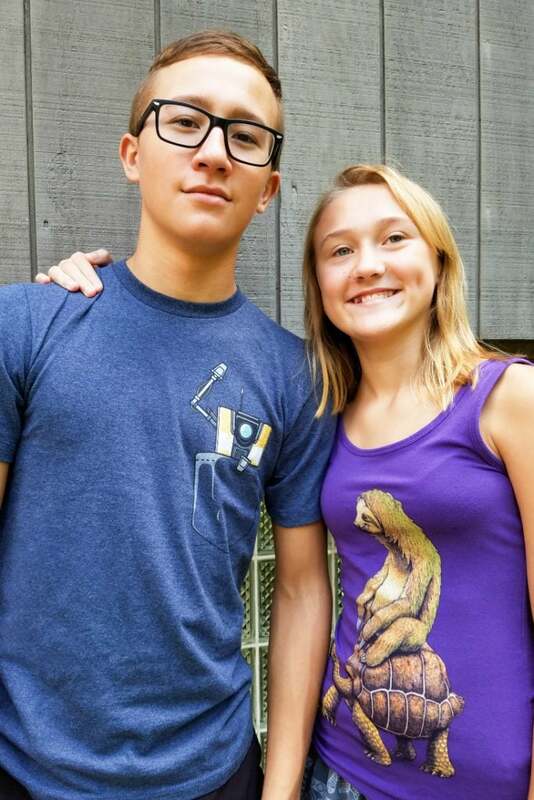 Design By Humans also has officially licensed Marvel, DC, Diablo, and Star Wars stuff! Um, is anyone else jumping out of their skin for Rogue One?! These nerdy t-shirts make the best gifts. With so many designs to chose from they are very personal. My buddy Nathan proudly displays Cthulhu. The kids love their clothes too. From Sloths to Claptrap, we are one happy nerd family. We did all our back-to-school shopping here. Personally, I love being able to dress up my classic t-shirts with jeans and heels. It’s all about attracting like-minded people. Just in time for holiday shopping, you can also get free shipping on all your orders! What is your favorite design for nerdy t-shirts? 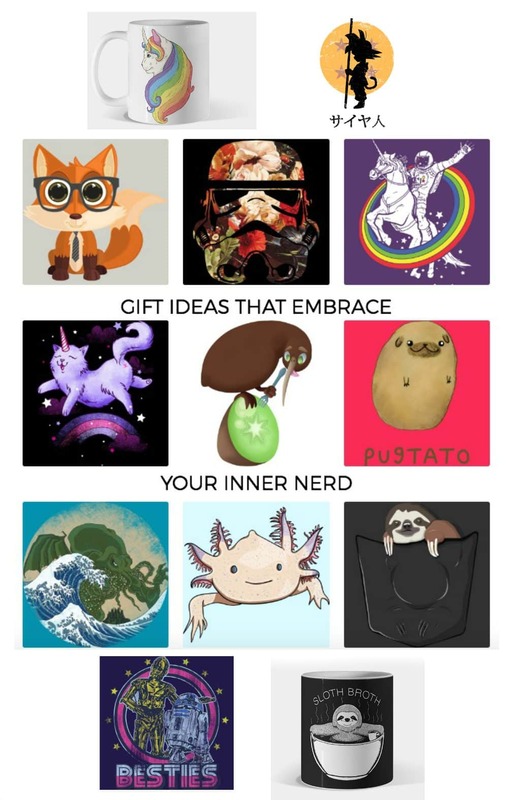 These are all such fun and unique gifts and t-shirts! These are pretty cute! I like the Sloth Broth, lol. Pretty funny! The pugtato would be perfect for a friend.